There are loads of tips to help motorcyclists drive safely. A lot of them may seem obvious, but the more confident you get on the road, the easier it can be to forget the specifics of road safety. Here is a quick refresh for you, so you can stay safe on the road whilst riding your motorcycle. Cheap AZ Towing Tip Number 1 – Refresh or complete a motorcycle course. 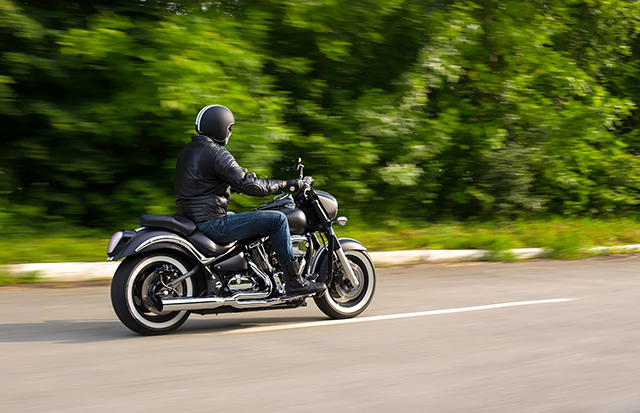 Chances are you completed a motorcycle safety course when you first got your licence. It’s safe to say you probably haven’t done one since. Road rules are being updated all the time to ensure the safety of drivers on the road. If it’s been a while since you’ve completed a motorcycle safety course, it could be time for a re-fresh. Cheap AZ Towing Tip Number 2 – Be aware of your surroundings. Even if you’re driving on a road you travel on every day, make sure you stay alert and aware of your surroundings. Road conditions change constantly. There may be road damage that wasn’t there that morning or perhaps the traffic is thicker on your home time run. Other motorists can be unpredictable. Be one step ahead by using your mirrors, and focusing on the other cars around you. Cheap AZ Towing Tip Number 3 – Invest in the correct protection gear. Somehow there is a misconception that having the correct protection gear is uncool or over the top. This couldn’t be further from the truth! Investing in the correct protective gear could literally save one of your limbs or even your life! This includes wearing the right footwear, not just jackets or a helmet. Did you know Cheap AZ Towing Offer Motorcycle Towing Services? Do you need roadside assistance for your motorcycle? Or does your motorcycle need to be picked up or delivered? Cheap AZ Towing have the right equipment, and the expertise to tow your motorcycle safely and correctly.